Here at Wentworth Greenhouses, we are proud to feature only the best plant collections and brands for lawn and garden care. We’ve put together a collection of website links that we feel will help you learn more about your favorite plants as well as to provide helpful tips and information. We’ve also added links to other pages on this site, such as lawn care, landscape ideas and flower gardening with plants from our annual and perennial department. We hope you will benefit from these sites, but also remember that the trained professionals at Wentworth Greenhouses are always available to answer questions or help you find the right products for your home and garden. Wentworth Greenhouses is a Proven Winners Certified Retailer. Our staff is trained and kept up to date on the latest varieties of flowering plant material as well as tips on combining plants into winning combinations. The website features a wealth of information and great ideas for planter recipes. 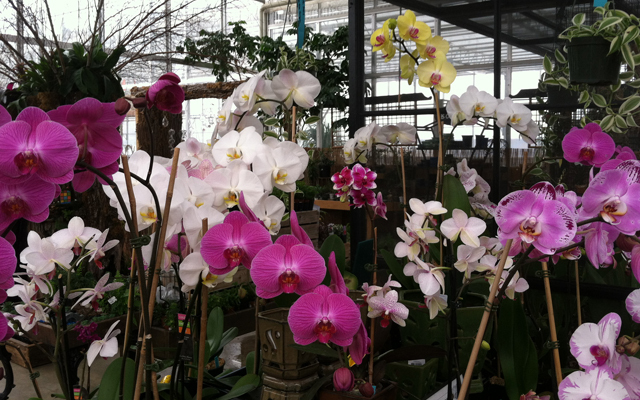 Check out our greenhouse for more information on featured plants. You can count on the professionals here at Wentworth Greenhouses to help you create a garden you are proud of. If we can help answer any questions, please visit us, or contact us by phone – (603) 743-4919, or by e-mail.